Ever watch Mr. Robot and wish you could hack like Elliot? Channel your inner fsociety with these special-edition Mr. Robot emojis. 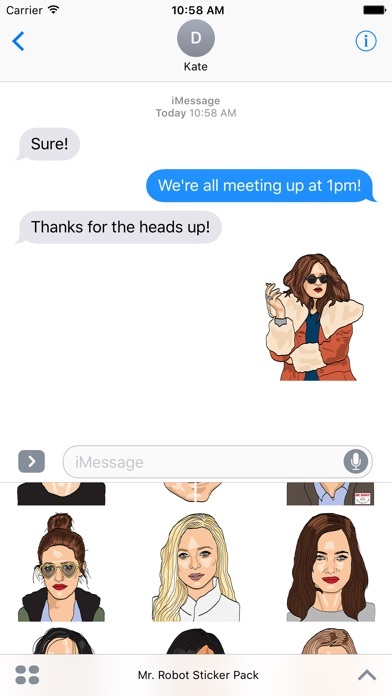 Be apart of the revolution or simply say, “Hello, friend” with images, emojis and stickers from your favorite moments of the show. 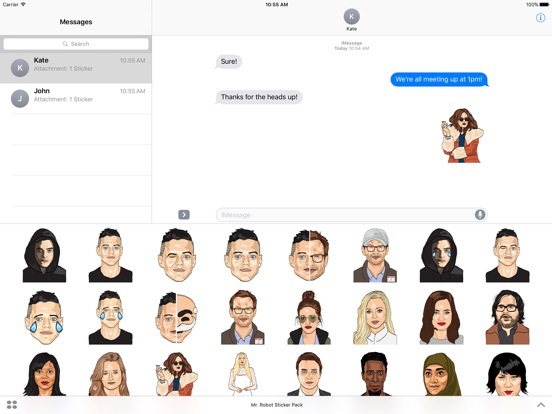 Unique emojis, including characters, quotes, props, and places that capture the most iconic Mr. Robot moments. All new easy-to-use ordering of your favorite characters!